Follow the signs for 'cross country loop' - its pretty damn sweet. There is also a freeride, shortcourse downhill, and a jumps track, if you are that way inclined. 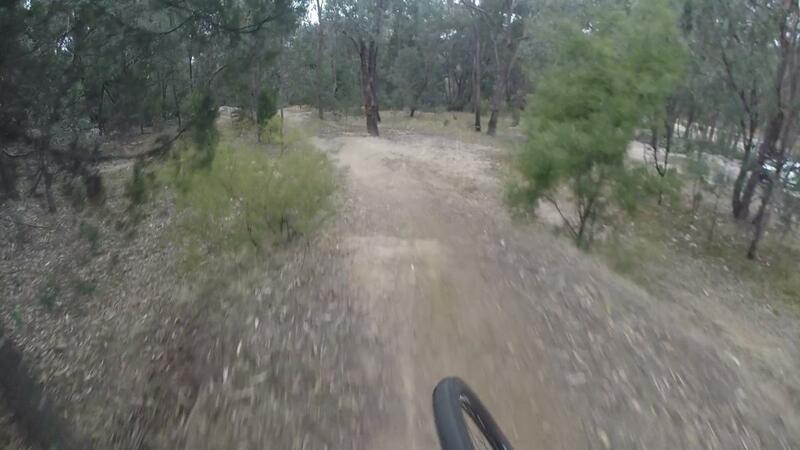 Review: Awesome little XC circuit through natural bushland. Well signposted. Approx 10km. Review: i dont know what all the talk is about this trail i rode it the other week and i didnt really like it that much. there was some fun parts but overall not my type of trail. Review: The Beechworth Mountain Bike Park is a brilliant collection of cross country trails, intermingled with a series of dirt jumps, several freeride trails (with different difficulty ratings) including some serious North Shore with see-saws etc and a 3 metre step down gap, as well as a highly rated short course downhill track. The trails are well signposted, but water is scarce, as there are no taps on the course (too valuable to be giving away in drought-ridden North East Victoria!) though there is a small creek next to the extra cross country loop. Also, as it is in drought-stricken territory, the course is very dusty and there is little traction during the summer, so slicker tyres are a no-no. This course has some incredible trails and stuff, but look after yourself and bring a map because if you get hurt, emergency services are hard to contact and they will find it hard to find you. Make sure you bring some mates with you, its much safer but also heaps of fun, as there's so much in this great MTB park. Spend a day there, you won't be disappointed, then head on in to the town of Beechworth and have afternoon tea at the Beechworth Bakery. Beechworth Mtb Park MTB Trail 4.00 out of 5 based on 3 ratings. 3 user reviews.